Small Business Bookkeeping Service may be what your small business needs to thrive. When small businesses begin to grow the business practices that they followed when starting out often need to be adjusted so the business can continue to grow or keep from failing. Although small businesses are unique, often their growing pains are not. If Running your Business is Getting in the Way of Managing your Business — then it might be time for a Small Business Bookkeeping Service. You’re in business because you know what you do, and you do it well, and the behind the scenes bookkeeping isn’t it. Allow us to take over such tedious tasks and free up your time to focus on what is important: managing your business. An accurate financial snapshot of your company is critical to your strategic planning. 50% of all businesses fail in the first 5 years due to inaccurate forecasting and understanding of their financial well being. Our experienced team knows what you’re up against from audits to budgeting and we use proven processes that will help you get back on track towards profitable operations. If Your “Bookkeeper” Does Not Have the Expertise — then it might be time for a Small Business Bookkeeping Service. Due to the sensitive nature of bookkeeping responsibilities, many individuals’ first instinct is to fill the position with someone trusted, such as a spouse. Taking bookkeeping advice from someone lacking the experience and qualifications may lead to unnecessary complications. Simply purchasing a bookkeeping software does not make one an expert. Individuals still should seek out professional guidance to ensure accurate bookkeeping practices. If You Have Problems Interpreting your Financial Results — then it might be time for a Small Business Bookkeeping Service. 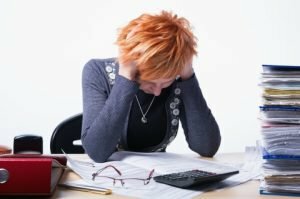 If you don’t have a background in accounting or finance interpreting financial results may be overwhelming. Simply ask us for a remote session and we can walk you through the reports and break them into easy to understand pieces. Does this Sound Like Your Business? No matter how large or small the organization, we can offer bookkeeping assistance. We can either completely take over your bookkeeping, or you can choose various tasks to delegate to us to ensure proper processing. Once you’ve signed up as our client we’re only a phone call or email away! If you have questions about outsourced bookkeeping please visit our outsourced bookkeeping frequently asked questions page or contact us today.